Here are a few of my favourite articles and blog posts from March. 1. Seed planting ruler. Allotmenteers are renowned for their innovative ability to make new use of other people’s rubbish. It’s become an allotment requirement to make use and mend. I loved this post from Andrew and Sandra, firstly because I think the seed ruler is a brilliant device but also, the creative duo have crafted a beautiful little dibber to accompany the device. Having not seen a seed planting ruler on the market, I believe it’s something that could be made DIY style too. 2. Getting the best from your mini-greenhouse. I’m certainly in the mini greenhouse camp. I recently bought a new one in preparation for the spring. I think they are brilliant for starting off the seedlings close to home for easy maintenance. Mark has once again drawn on his tremendous experience to provide a useful post on how we can get the best out of these affordable powerhouses. 3. How I Support Peas. As one of the earliest crops to be sown in the new growing year, I’m sure many of us will be looking on as our peas emerge through the soil. I’m very pleased with how mine have come along in the early spring sunshine we have enjoyed and I’ve been thinking about a suitable support as the little darlings stretch their legs and extend their arms to the sky. Lucky for me, and you, Karen and Rich have shared their simple method to support peas. 4. I’m 35 and I love gardening. Deal with it. ‘I’m 35 years old and I’m passionate about gardening.’ This quote from Tom Smart could have come straight out of my own mouth. This article really hit home with me and I’m sure many others too. 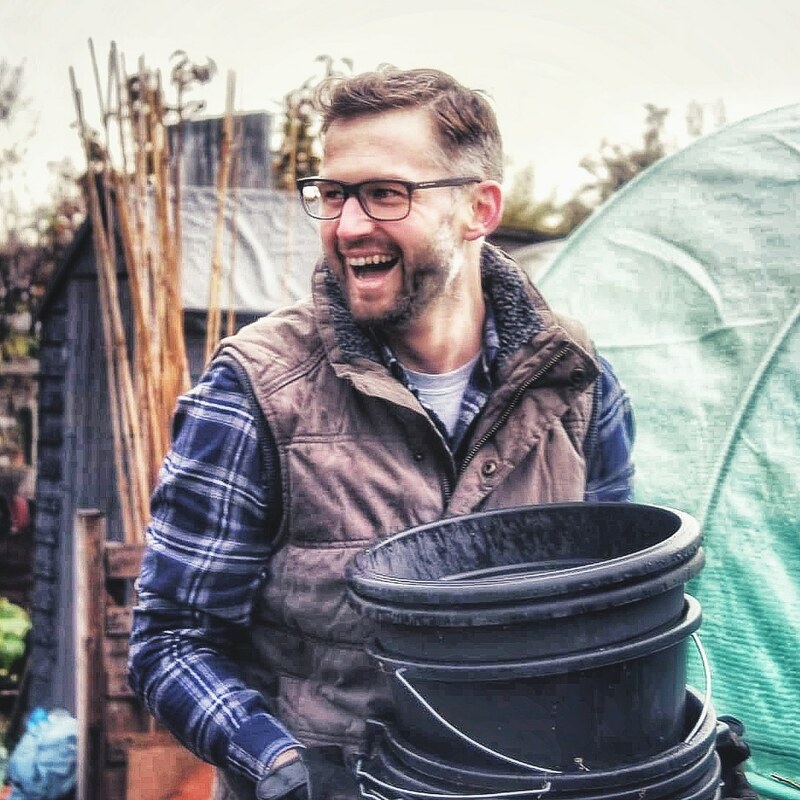 The feeling I gain from tending my allotment garden is wonderful and despite many of us going about the daily grind, I would recommend sticking your hands in the soil and nurturing a plant from seed. I love my Rugby too. 5. #mygardenrightnow. Michelle Chapman says ‘starting a new online gardening project feels like a shot in the dark’. I’m pleased she took the plunge and did it anyway. This was a fantastic idea and managed to get so many gardeners involved. It was a great insight to what real, everyday gardeners were doing and showing in their gardens in March. If you didn’t catch it this time, after the success of the project, I’m sure Michelle will be hosting another round during the year. 6. Four months in. I love seeing how new plot holders are getting on. Emma began her allotment journey in November and shared her progress four months on. I think the transformation from overgrown plot to a maintained and groomed growing space is fantastic to follow. Head over to her blog and follow along too. 7. Going over the ‘edge. I’ve followed Judy’s blog since I began with my own in 2015. What I love about Judy’s posts is her humour. This accompanied with her experience of growing veg in her wonderful kitchen garden is what makes her blog such a joy to read. Like many of us, the excitement of spring has taken her and she’s provided a lovely taster of the start of the season on her plot. 8. 5 reasons to keep an allotment garden journal. One of my own and it received a lot of response. The process of journaling has an array of benefits and certainly as a record and a reflection of your experiences of keeping an allotment or kitchen garden. Here are my 5 top reasons to keep a journal, in one form or another, of the journey you take in your allotment and kitchen gardens. 9. The Joy of Squash. If it’s not enough that Beryl writes tremendous posts on her own blog, here’s one she provided as a guest post for Andrew O’Brien. What a fantastic read it is too. With a mass of growing experience, this article on growing squash is a golden nugget of that gold mine. If you haven’t decided on the variety of squash you plan to grow on your plots this year, make sure you read Beryl’s suggestions here. 10. The Honeybees in March. Tanya has written a post on a subject that is on my wish list. It’s a jealous read for me as I’d love to have bees on my allotment. Like the array of seedlings, March is also the time Tanya’s bees are waking up. Over to you. Spring has finally arrived and I’m sure many of you are enjoying the signs of new life on your allotments and kitchen gardens. Let me know in the comments below or on twitter, one of your favourite things to have made you smile as the season gets underway. Wheeeeeeeeeeeeeeeeeeeee! I get a mention, tvm! Thanks so much for including our blog post! #MyGardenRightNow was my favourite for March. It brought so many people together and was fascinating to see what was happening in gardens over one weekend. Looking forward to the next one. I missed the Joy of Squash blog, so glad I found that via here. Squash is one of the few veg I’m growing this year, so good to read more about them. Hi Julieanne. Thanks for the comment. Yes, I’m with you on Michelle’s project. Fantastic that so many engaged and we got to see real gardens and plots. Beryl’s squash blog is super. I really want that book too!